Roddy Ropner DipWSET was born in England and has lived in Asia for the past 27 years. Throughout this time he has been (former) Managing Director of Christie’s Japan, a wine importer for Wellspring Wines (Hong Kong), WSET Certified Educator and wine writer, in addition to his position as a VIA Ambassador. Following his session at this week’s wine2wine in Italy, sponsored by WSET Alumni, he shares his insider tips for how to export to Hong Kong. What is the current state of the Hong Kong wine market? The Hong Kong government removed duty-related customs and administrative controls for wine in February 2008, when Henry Tang was the Chief Secretary of Hong Kong. This was the impetus behind the wine boom in Hong Kong. By 2013 Hong Kong, almost from a standing start, seemingly became the Fine Wine capital of the world with auction sales exceeding those of London and New York. This has had a knock-on effect creating the impression that Hong Kong is a high wine consuming city. Hong Kong is justifiably famed for the quality of its cuisine, however the city of 7.5million people is not yet a city with widespread wine drinking culture among the general population. If you visit local restaurants it is still unusual to see wine being served at lunch time or on a weekday. The changes in 2008 resulted in a surge in the number of wine importers, as it was no longer a requirement to hold an importer’s license. Alongside the established importers you saw a huge increase of small local importers. On one hand this was good if you believe in competition. On the other hand it created some issues as many inexperienced people became part-time importers. 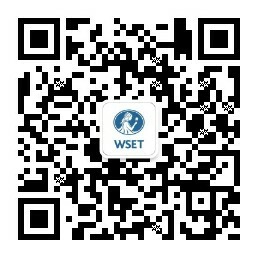 This is where WSET and wine education has played an important role. With no long history of wine drinking and no vineyards, most education had to take place in the classroom and tasting room. WSET is important because it not only teaches about the regions and grape varieties but also touches on aspects such as transportation, storage and serving wine. Hong Kong has a semi tropical climate. It is incredibly hot and humid for at least six months of the year. As a winery you need to ensure that your wines are shipped and stored in the correct manner. Even local delivery becomes a key factor in ensuring the wines condition. People in Hong Kong are very keen to learn and wine tastings/classes, if well organised, prove very popular with clients. What do prospective exporters need to know about importer/distributor capabilities in Hong Kong? When considering your importer/distributer relationship it is important to understand if your importer is focused on the on-trade or the off-trade. If you are lucky they may handle both, but in Hong Kong many specialise in one. While you may desire to see your wines in restaurants and bars, building a reputation with collectors and influencers by private sales is important, and is an approach I have promoted amongst my own clients. Hong Kong is in fact home to many of the world’s best collectors. But the population of expatriates, who form a large percentage of private client buyers, is very transient, and the importer or distributor therefore needs to be very pro-active in finding new clients. Again this is an opportunity for education. People in Hong Kong are very keen to learn and wine tastings/classes, if well organised, prove very popular with clients. On the other hand the on-trade represents a much higher proportion of sales by volume and value overall. However it is a highly competitive market, rents are high, and it is not unusual for restaurants to close after one or two years. There is also high turnover of staff requiring the importer to constantly renew their educational efforts. Floor staff, in many restaurants, are often expatriates from Nepal and Indonesia with no previous wine culture or experience, limiting their ability to make recommendations to customers. What is the best way to make your wines stand-out in the Hong Kong market? Hong Kong is a very compact market. Physically it is easy to get about and most people in the wine world know each other. The same people turn up to tastings and wine events. To this extent, exclusivity is important. Hong Kong is not like China or Japan where the country is big enough to have different importers in different cities. Without the opportunity to visit wineries/vineyards winemaker visits become key. These are great for educational and promotional purposes. There are a huge number of wine events every day in Hong Kong and having a winemaker present really helps to distinguish a tasting/event. At the same time one needs to be very clear about the level of education being offered. As noted, Hong Kong is home to some of the most important collectors in the world. At the same time others are just starting their journey. Events need to be tailored accordingly. Leaning on winemaker visits and sending clients to visit the winery alongside specialist tastings in Hong Kong has been hugely successful for clients that I have worked with. Well-structured education like that offered by WSET has also proved extremely valuable in providing global market context and offers a fantastic opportunity for networking with a host of industry experts and influencers. The Hong Kong market has now evolved to the extent that many clients are looking for older vintages. With the difficulties of storing wines (space is at a premium) it really helps if the importer is able to offer back vintages.